The Common Law Admission Test or CLAT as it is popularly known is an aptitude test for law aspirants wanting to pursue their higher education in one of the highly coveted NLUs or National Law Universities. Currently, 19 NLUs participate in the CLAT regime and organize the same every year rotationally. It checks the students' mental and aptitude abilities under a fixed time frame. English (including comprehension): 40 marks testing the candidate's verbal skills, proficiency in the language and vocabulary through the passage and grammar-related questions. General Knowledge and Current Affairs: 50 marks covering a mix of current affairs of the past year or so and static general knowledge. Mathematics (numerical ability): 20 marks testing the candidate's aptitude in elementary maths i.e., up to Class X. Legal Aptitude: 50 marks testing the candidate's legal knowledge and the ability to apply legal propositions correctly. Logical Reasoning: 40 marks testing the candidate's problem-solving abilities with respect to identification of patterns and logical/illogical links. The decision to take CLAT should be a well informed one. You should take guidance from close friends and family to make an informed decision as to whether CLAT is the best option for you. This kind of deliberation is needed because as the preparation for CLAT requires constant dedication and hard work, thus leaving half-hearted preparation out of question. I have seen a lot of people fret over finding suitable coaching institutes for their CLAT preparation. In my personal opinion, coaching institutes are not a prerequisite for someone who wants to score well. A dedicated student without coaching, on the other hand, can do wonders if he/ she follows a simple regime for their preparation while practicing regularly, solving papers and taking CLAT mock tests diligently. Coaching institutes merely provide guidance and supervised approaches at a hefty cost whereas the ultimate hard work will have to be done by you. At the end of the day, it is you who will have to sit and go over all the CLAT study materials. Many people join coaching centers under the misconception that it is a fast track way to better scores and ranks whereas the truth is that the centers merely provide supervised practice and study materials which can be done and sourced otherwise as well. There are a plethora of websites catering to CLAT preparation providing students with ready access to previous years' CLAT papers, CLAT mock tests, CLAT study materials and so on. It ultimately falls upon the student and his/her willingness to go to lengths to source his/ her CLAT prep study material and start with their preparation. Whether you opt for a coaching institute or not, a bonus of getting a high score and rank in CLAT apart from a world-class NLU is a chance at a scholarship! The Aditya Birla Foundation in association with some partner NLUs offers a shot at a scholarship to the top ten rankers admitted to that NLU. Your hard work and dedication might just get you free education for 5 years at a top NLU. It is not impossible to crack CLAT if you follow some simple steps by strategizing your preparation plan and method. The first and foremost thing is to decide. Take a call. Decide that CLAT is what you really want to do and score one of the top NLUs in the country. An ideal time to decide this would be the end of Class XI since it gives you a full year to focus on your preparation while managing your studies for Class XII as well. Once decided, start with a good plan and preparation strategy. An early start coupled with a good prep plan will help you cover your bases and concepts on time so that you can move onto practice tests and online CLAT mock test series. A good strategy involves a simple timetable made by you for yourself and not the kind which we follow for a day and then forget about. This is an important part of your preparation since it will help you manage your Class XII studies, tuitions and other commitments along with your CLAT prep. The timetable can be flexible but one should make sure that one always and always makes up for the time lost. For efficient prep, you will have to inculcate a few habits. One such would be to READ. Read regularly and as much as you can. I cannot stress this enough. Read anything and everything that you can get your hands on starting from the newspaper. Pick a newspaper that you like and make sure you read it cover to cover daily. A simple habit like this will help you in two things: firstly, it will keep you apprised with the current affairs and news and secondly, it will help you read faster gradually provided you read on a regular basis. Now, many people wonder why this is important. This is pivotal as CLAT not only tests your aptitude in several areas, it also tests your performance under a specific time period which shows the candidates ability to perform under pressure. Hence this habit of reading regularly will enable you to naturally increase your reading speed which would, in turn, help you save time. CLAT has 200 questions and a total time limit of 120 minutes. Thus you will not get more than 1.5 minutes per question which includes the lengthy and comprehensive English questions. A good reading speed will help you sail through these and save on time for other time-consuming questions. A personal tip I would like to share is to have a personal diary with you. Now the purpose of this diary is mainly to keep track of your progress. This diary will be a self-reflection of how you are performing and progressing. Trust me; a diary like this can make you self-aware more than anything. I personally maintained a diary throughout my preparation time where I noted daily progress. So basically at the end of every day, I took out 5 minutes to jot down my prep highlights and it helped me tremendously. Now, imitation may be the sincerest form of flattery but I would like to stress upon this point, DO NOT copy your friends and their prep strategies by succumbing to peer pressure. Just because someone is putting in more hours a day than you does not necessarily mean that you are on the wrong track. It is extremely important that you remain confident about your preparation strategy. It is important to revise regularly. Our brain works overtime under pressure and it may lead to you forgetting some key concepts which may cost you under the negative marking scheme of the CLAT. Hence with the help of your diary, you should revise your key concepts regularly. This may seem cumbersome and repetitive at first but once you do it for a few concepts you will realize that it hardly takes time to revise those concepts after a while. While revising you may come across some doubts and queries. I strongly suggest that you jot down these doubts as and when they come so that you do not forget them since they may also prove to be extremely crucial during the test. Now once you have gone over all the concepts, again and again, it is important to start making time for mock tests. Now, these can be online CLAT mock tests or previous papers being solved. Again, I would suggest here that you keep your diary updated as to the number of tests that you have solved and the score that you have received. It will help you picture a mental graph of your performance and note your progress through this. Taking a lot of online mock tests on websites like https://www.clearlawentrance.com/ will help you manage your time better. After a couple of mock tests, you will be able to identify the sections of the test which consume most of your time. This way you can focus on that section, in particular, to increase your speed and average out the time needed per section so that no question is left unanswered due to the paucity of time during the actual test. These mock tests help you identify your strengths and weaknesses. Now, this is extremely important since it can make or break your chances of getting into a top ranking NLU. Knowing which section is scoring for you personally can help you manage your time during the actual test so that you can allocate extra time to the sections which you are not so smooth with. Finally, I would advise all of you to be confident and positive about your preparation. Having faith in your preparation will get you a long way since you are the one who is putting in all the hard work and long hours. It is important that you root out all the negativity and de-motivation from around you so that your goal to crack CLAT is unfettered. Visualize your goal every day so that you know what you are working for ultimately. In a nutshell, be positive, know your syllabus in and out, work diligently on a regular basis and be self-aware and true to yourself about your progress and you will crack this test with much ease. Have fun, enjoy your last year of school without compromising on your daily prep goals. And finally, do not worry about what score or rank you will get, as long as you have put in the work and effort sincerely, the results will automatically show. 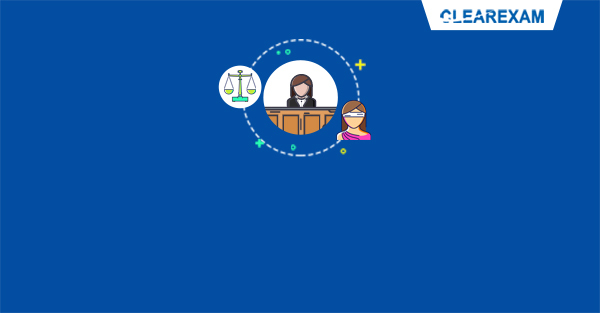 Are you an aspirant of Common Law Admission Test (CLAT)? Go through the post to know some helpful tips.